A collection of bridal jewelry by a company that doesnâ€™t sell bridal jewelry? Royal Chain, a company primarily known for their gold and precious metal jewelry, will launch its first-ever Bridal Collection. The aptly named collection, â€œAfter the Ringâ€�, has nothing to do with what most industry professionals would consider Bridal. There are no semi-mounts or even a hint of a wedding band in this collection. 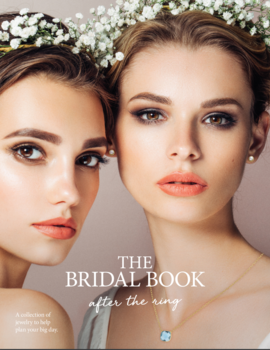 The 24-page catalog is an idea that Royal Chain Vice President of Marketing, Phillip Gabriel Maroof, devised to satisfy his desire to cater to the bridal market without deviating from the companyâ€™s roots. It was also a way to help retailers, who say that once the ring is purchased, they lose all of the additional wedding-related sales to big box stores and online retailers. Jewelers can use it in their stores as a guide for wedding parties searching to complete their wedding day needs. The book will be available for pick-up at spring buying shows, starting with RJO. It will also be mailed out to all Royal Chain customers at the end of this month. Retailers can preview the collection by visiting Royal Chainâ€™s website.